It's been a rough time for women in publishing lately. 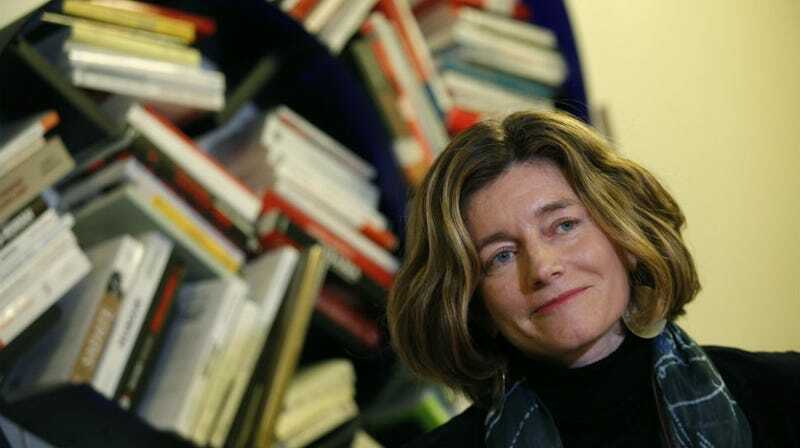 Natalie Nougayrede, the first female managing editor of French newspaper Le Monde resigned yesterday, telling staffers she was "undermined." According to the BBC, Nougayrede said she could no longer do her job "with the peace of mind and serenity necessary." "I cannot accept being undermined as head of the paper," she said [in a letter posted to Le Monde's website]. Differences are said to have focused on a planned new print format, a tablet edition and disagreements over planned personnel changes. Last Friday, Ms Nougayrede's two deputies - who had also faced criticism from a large part of the newsroom - stepped down as well. "The personal and direct attacks against the management and myself prevent me from implementing the transformation plan I put to shareholders and which requires the broad agreement of the editorial teams," Nougayrède said. According to The New York Times, Nougayrède faced difficulties implementing a plan to redesign the paper and move more than 50 staff members from print to digital production. "It is a crisis linked to the growth of digital in a traditional company of the written press," said Alain Frachon, a former senior editor of Le Monde. "And on top of that, there is strong discontent." Defenders of Ms. Nougayrède said they believed that as a woman she was subjected to far more harsh criticism than a man would have been for demanding changes at the paper. A professor at the Sorbonne, Patrick Eveno, who teaches history of the media, said Le Monde and other French newspapers were going through the same kind of upheaval that American newspapers went through several years ago. "It has taken French journalists time to understand that it wasn't just an economic crisis, but a crisis in social habits, that the information as a product had to be transformed," he said. The news comes at the same time as the abrupt dismissal of New York Times executive editor Jill Abramson, whose departure was announced Wednesday.